Amit focuses on software especially Internet/consumer technologies, investing $250K to $3M in seed, series A or B, and helping them partner with Samsung to grow and make a meaningful difference in people's lives. Amit’s primary focus is Digital Health, secondary is Emerging Markets. Arnaldo is developing Intel's Artificial Intelligence software ecosystem. Prior to it, he was developing and implementing strategy for Machine Learning to key Enterprise verticals at NVIDIA for over 7 years. At Toyota Eder is working on Deep Learning for driving autonomous vehicles. His previous work include contributions to the popular Deep Learning library Keras and to the FaceID group at Apple. He is originally from São Luís, Maranhão. In his role Enrique is responsible for all of Salesforce's commercial activities in the Latin American market. He directly oversees sales, business development, solution engineering, enablement and go-to market strategy for the region. 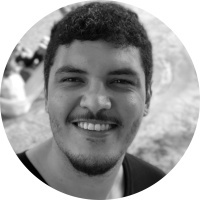 Nominated as one of the "Most Creative People in Business 2012" by FastCompany, Flavio is leading CUBO, a transformational project to foster entrepreneurship in Brazil, sponsored by Itau Bank and RedPoint eVentures. A serial entrepreneur and investor, Harald is currently assisting several Silicon Valley startups. He is also founder of Aura Enterprises and Ilumina Tech, designing a new approach to education based on skills in high demand, best teachers, and mentoring. 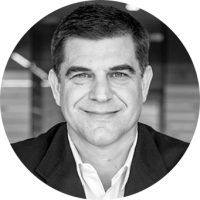 Marcello manages a team of Sales "High Potential" Executives, covering all USA and Canada for SMB and Enterprise accounts. He was awarded Best Sales Manager in LinkedIn Americas (2018) - Demand Excellence. Nandu focuses on Safety, Insurance, Risk, Identity, Knowledge & Decision platform. He is also building Uber's knowledge graph. 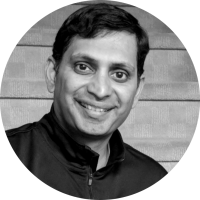 Prior to Uber, he was Engineering Director at Google and has led teams in the US, India and Europe. Kaszek Ventures is Latin America’s largest VC firm with US$ 182 million investment in 52 companies, most of them in Brazil. Nicolás currently sits on the board of Nubank, Creditas, GuiaBolso, Grupo ZAP, among others. Ron serves as the visionary behind Playphone (aquired by GungHo, Softbank Group). He was the co-founder of the Brazilian Video Game Association and Chairman of Mobile Entertainment Forum (MEF). He's also a BayBrazil Board Member.